Hershey is welcoming Joyce Meyer Ministries to the Giant Center September 21st & 22nd 2018. 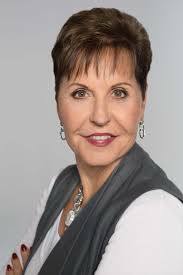 Joyce Meyer is one of the world’s leading practical Bible teachers and a New York Times bestselling author. Her conferences have assisted those from all over in search of hope and restoration through Jesus Christ. This September, join us in Hershey, at our Central PA bed and breakfast, the 1825 Inn. Let us be your host for the week, as you relax and restore! RESERVE NOW Click “Reserve Now” to reserve your room at our Inn near Hershey, the 1825 Inn. This entry was posted in Giant Center and tagged 1825 Inn, 1825inn.com, Book now at 1825 Inn Bed and Breakfast Hershey PA, Central Pa bed and breakfast, Events, Giant Center, Hershey, Hershey bed and breakfast, Hershey Park, Hersheypark, PA, Pennsylvania, Reserve, Reserve Now by admin. Bookmark the permalink. Wow it’s free that’s amazing! Joyce Meyers is a great teacher of the word of God.